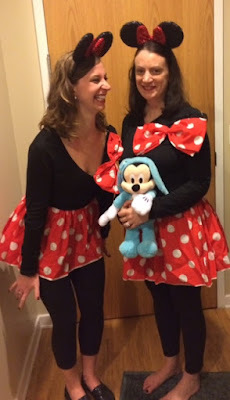 Belle On Trend: Happy Halloween from Belle On Trend! Thanks to my mom being somewhat of a hoarder (haha I love you, Mom! ), we had the perfect costumes for our friends Jane and Tyler's Halloween party! The theme was a throwback costume you'd worn in the past. 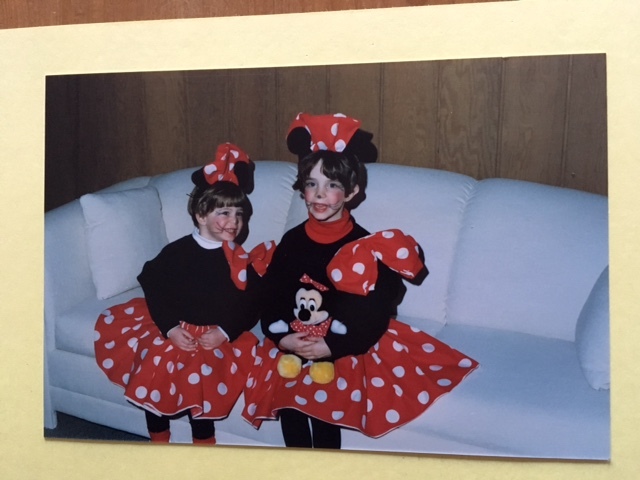 We didn't just recreate ours, my mom had the actual costumes from 1989 in the attic. LOLOLOL. She had made those! So cute, right? We just had to borrow a Mickey Mouse from Finn for the added touch. Happy Halloween! Sitting pretty at 2 and 6 years old! 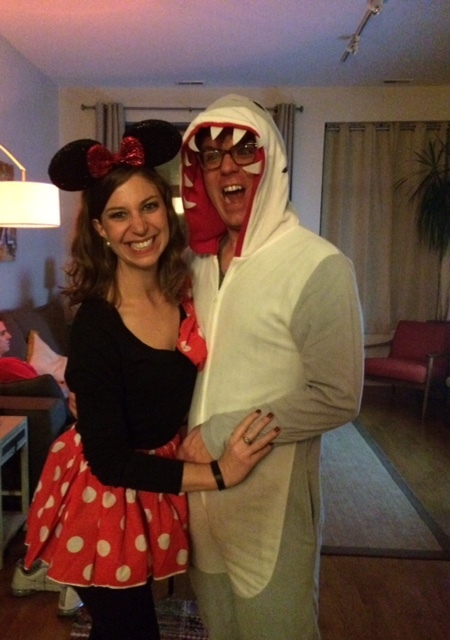 2016: Minnie and my sharkie! How cute is Anna with her two penguins? Amazing! Recreated the shot! Fortunately I no longer have that bowl cut, and Anna no longer parts her bangs down the middle. Bahhaa!